Benefits Of Peppermint Tea For Your Health, Hair & Skin! Amazing Benefits Of Peppermint Tea For Your Health, Hair & Skin! Today we will explore here the details about peppermint and the benefits of peppermint tea. Peppermint is a type of mint plant. It is a cross between water mint and spearmint and has a unique taste of its own. Its scientific name is Mentha Piperita. Originally grown in Europe and Middle East it is now cultivated in many other parts of the world. It can also be found in the wild. The plant has many uses and its medicinal value is pretty high. 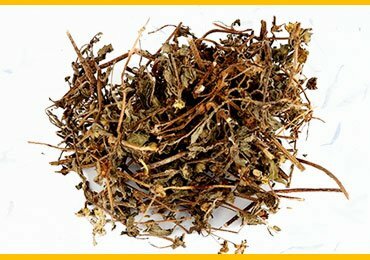 It has been used by various cultures of the world and the herb has been around for at least 200 years. It is used both as an herb and oil is extracted from it. This makes it an essential oil. Peppermint is an herb whose leaf, leaf extract, leaf oil and leaf tea is used for various reasons. The peppermint oil constitutes 0.3% to 0.4 %. This oil contains nearly up to 48% of menthol, 46% of menthone, up to 10% of methyl acetate, up to 17& of menthofuran and up to 6% of 1,8- cineol. Peppermint also contains small amounts of limonene, pulegone, caryophyllene and pinene. Peppermint oil is a coolant and pleasing to the brain. Its strong aroma stirs up appetite and hunger. It has a sweet and pungent taste. Peppermint tea is a concoction made out of peppermint and there are number of benefits of peppermint tea. Peppermint tea is an infusion made of peppermint leaves. The leaves are put into boiling water and left to brew for around 5 to 10 minutes. This time depends upon how strong you want your tea to be. Once made in the morning you can consume it several times in a day. This simple to make and cost effective drink has a number of therapeutic uses. It can be safely consumed for better health, skin and hair. You will find that there are a number of factors for what is peppermint tea good for. We will start with Benefits Of Peppermint Tea for health. Eating out too often? Have stomach issues? Consumption of peppermint tea aids in relieving colonic spasms. It allows gas to freely move out from the digestive system providing for relief. Thus it reduces effects due to indigestion and stomach upsets. Symptoms due to Irritable bowel syndrome are also reduced by consumption of peppermint. The methanol present in peppermint aids in reducing stomach muscle spasms and blocking of calcium channels in the gut. Thus when we binge on junk food and have a stomach which is at discomfort, consumption of peppermint tea helps to relieve the tension in the stomach. Thus stomach bloating and indigestion symptoms are also reduced by consumption of peppermint tea. Peppermint tea acts as anti-spasmodic and hence clears the respiratory passage which causes irritation. This irritation is what causes cough and cold. Hence by consuming peppermint tea the symptoms are reduced. When peppermint oil is added in a vaporizer and the fumes inhaled it helps in decongesting of the respiratory track and removal of phlegm. Thus it acts as an expectorant or decongestant. Peppermint oil can also be scrubbed on the chest area to bring relief from coughs and colds. When used by tuberculosis patients it helps in containing the diseases and stops further deterioration. When used by people suffering from asthma, it reduces inflammation of the lungs and reduces the symptoms. Cancer patients who undergo chemotherapy suffer from a lot of side effects like vomiting, nausea etc. Consumption of peppermint tea aids in inhibiting nausea symptoms in the patients. It also helps to reduce hot flashes in breast cancer patients. This brings in some respite for the patients. The presence of menthol gets peppermint tea its antibacterial property. Thus it is found effective against the growth of bacteria like salmonella, e.coli and staff. Its antioxidant and antimicrobial properties make it a nutrient supplement. Thus it can be used on wounds and acne on the skin. Peppermint tea acts as a natural sedative and helps you keep you calm. It reduces blood pressure and body temperature to keep you relaxed. Just inhaling the aroma of peppermint oil also gets you refreshed and peaceful. It relieves you from mental tension and anxiety. Thus adding 2 to 3 drops of pepper oil in a diffuser, handkerchief and inhaling at the end of a tiresome day will renew your energy levels. Peppermint tea and oil are found effective in reducing headaches. This is a good home remedy to get relief from tension headaches. Headaches and migraines cause restriction of blood vessels and pain. Consuming peppermint tea relaxes the muscles and hence improves blood circulation. This, in turn, causes pain to reduce. Consuming peppermint tea along with using the oil as an aromatherapy is found very effective in releasing stress related headaches. Use of peppermint tea is supposed to remove all kinds of blocks both at the physical and mental level. It is supposed to remove blocks from the heart, pancreas and lymph glands. In cases of congestion and sinus it clears the pathways and allows for proper breathing. A little of peppermint oil mixed with coconut oil is used as a scrub on the chest, back and nose in cases of chest congestion. When applied on the feet it helps to bring down fever too. Peppermint oil used in massaging the body, helps to reduce muscle soreness and stiffness. Its aroma gives a good feeling and hence adding it to the bathing water also soothes the body. Along with this consumption of peppermint tea will bring in dual benefits. When, peppermint tea is used as a mouth wash it helps in prevention of mouth based infections. It stops the growth of the biofilm which is the cause for cavities. Since it has a nice aroma the mouth smells good and clean too. Hence it is one of the common ingredients found in toothpaste and mouth washes. For people suffering from bad breath, it is good to consume 2 to 3 peppermint tea cups per day. Peppermint tea is supposed to curb your appetite and hence make you eat less. Thus it is effective in weight loss. Drinking peppermint tea along with green tea early in the morning improves your metabolism. After which the food you eat gets digested properly. Having peppermint tea just before going to bed ensures that you have sound sleep. Since it relaxes the muscles you feel calm and have good sleep. Peppermint tea is found to be good for the liver and gallbladder. It aids in getting the liver rid of toxins and hence helps in the detoxification process. Tisane present in the peppermint also helps to dissolve small stones in the gall bladder. Some of the women suffer from bloating of the stomach and muscle cramps during their menstrual cycle. This could be quite bad for some and distressful. Menthol in peppermint tea helps to relax the muscles and remove pain. Since peppermint tea works at both the physical and mental level it removes stress, anxiety and muscle cramps within half an hour of drinking it. Regular consumption of peppermint tea is supposed to be beneficial for hair growth by enhancing blood circulation in the scalp. Direct application of peppermint oil also works wonders. 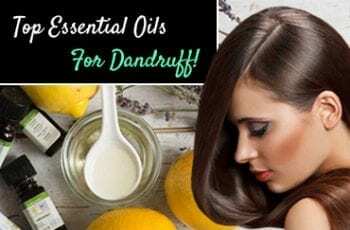 Regular application of peppermint oil mixed with coconut oil on the scalp has a number of benefits. Some of them are mentioned below. Protects the scalp against dandruff and itchy skin. 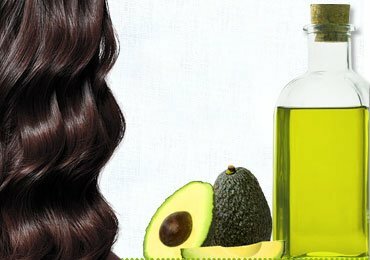 Massing the scalp with the oil improves blood circulation and hence growth of hair. When peppermint oil is added to the hair shampoo or conditioner and just used it brings in a shine to the hair and makes it glossy. Peppermint tea can be used for the following benefits. Consuming peppermint tea has the menthol working. This ingredient gets the overworking oil glands in the body to produce less. Hence it checks the oil on skin and ensures that there is no eruption of acne. For people who have sensitive skin consuming peppermint tea on a regular basis helps make their skin better. It removes the itchy feeling on the skin and any other kind of irritation. This is mainly because of the anti-inflammatory property of the peppermint. If you have burns on your skin or if it is inflamed you can apply peppermint tea on the affected area. This will reduce the redness and the inflammation. Peppermint tea also helps to boost estrogen levels in the body thereby balancing the hormones within the body. This helps in controlling acne breakouts. In the form of peppermint oil you can use it on the skin for the following benefits. Few drops of peppermint oil can also be added to skin lotions and creams and then used to see dual benefits. How to Grow Your Own Peppermint ? Peppermint is a good herb to grow in an organic kitchen garden. Since its aroma is too strong it naturally repels insects and hence easy to maintain. Once it starts growing there is no stopping. It can grow wildly in clusters to a height of 1 to 2 feet. Peppermint is normally planted with cuttings and not seeds. You could buy them from any plant nursery. The plant needs a minimum temperature of 18 degrees centigrade. If the weather becomes colder and the temperature falls below this you may need to take it indoors. But once the plants reach 10 cm they may need to be brought outdoors. The roots of the plant occupy most of the garden area if not checked. Hence many people prefer to grow them in enclosed places or in pots. Once the leaves appear on the plant they can be harvested and consumed. If you do not have the space to grow it in your home you can buy peppermint oil or peppermint leaves extract from the stores. Both ginger and peppermint are health promoting ingredients. Hence consuming peppermint and ginger tea helps the body get rid of various diseases by acting on the body and mind. This tea has a good flavor and should be typically taken without sugar to get the maximum benefits. Ginger is very effective in shrinking cancer cells and hence used in cancer treatments. Both ginger and peppermint are loaded with antioxidants. Hence the tea is very useful in getting rid of toxins from the body. For migraines, headaches, stomach disorders and stress relief this concoction of ginger and peppermint is very effective. The tea is also filled with minerals too. Some people react differently to peppermint tea. On consumption of peppermint tea if you feel dizzy, light headed or flushed out it could be due to allergic reactions. In which case it is advisable to stop consuming peppermint tea and test it out. Pregnant women are advised not to drink too much of peppermint tea. Since it relaxes the muscles, the uterus may get relaxed causing miscarriage. People taking medicines of any kind should check with their consultant about peppermint tea interfering with the medication. In some cases peppermint tea is supposed to react negatively with the medications. For people suffering from acidity, consumption of peppermint tea can cause heartburn. Hence they should consume it in moderation. Though there are some disadvantages with consumption of peppermint tea, the benefits of peppermint tea outweigh them. Drinking 2 to 3 cups of this refreshing and delightful tasting tea will definitely bring in health benefits. Since it is a natural herbal tea without any caffeine it is safe to consume. The plant is a shrub and can be easily grown in kitchen gardens or in pots at home. 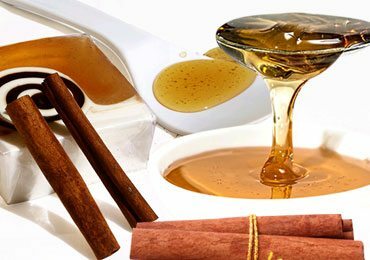 How You Can Use Honey And Cinnamon For Weight Loss? How To Get Rid Of Ingrown Hair At Home? 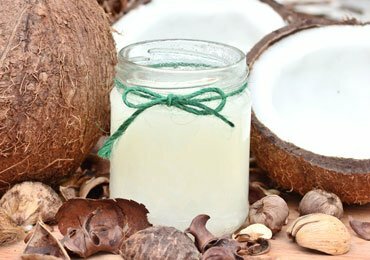 Get A Healthy Hair With Coconut Hair Oil! 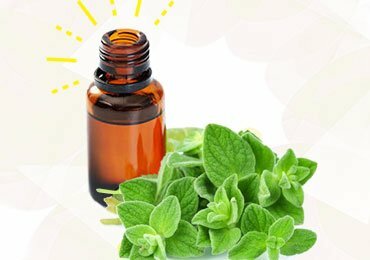 Surprising Benefits of Oregano Oil for Colds and Flu! 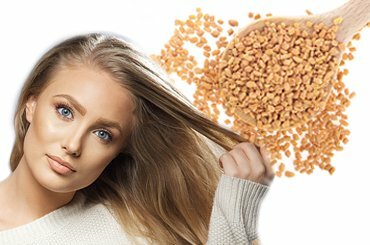 Surprising Benefits of Fenugreek Seeds for Hair Growth! 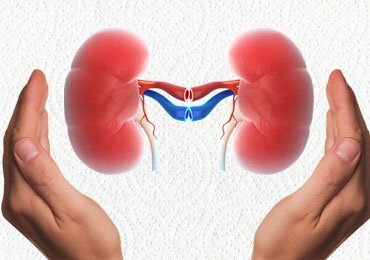 How To Keep Your Kidneys Healthy? 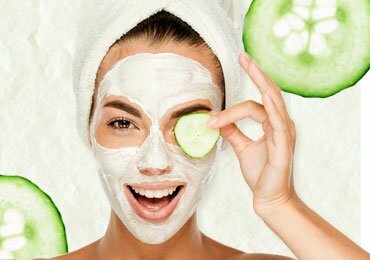 Surprising Cucumber Benefits For The Skin! Bhringraj (False Daisy) – 11 Reasons Why You Must Start Using It Today! Amazing article!! Peppermint water really works for stomach disorders and menstrual pains. Thanks for sharing other benefits as well.